Traveler’s choice manufactures some best products like Hardside and Softside Luggage, Duffles, Spinners, Backpack, Garment bags, Carry-ons, casual luggage, pilot cases, vertical and horizontal Pullmans. These products range from polyester & ballistic nylon soft cases to ABS & polycarbonate hard cases. If you are planning to buy luggage bags then you should consider some factors like Construction, Durability, Lock System, Warranty, Size, Weight, etc. Below are the products selected based on these factors. Here’s a compiled list in which we have selected best products to Review from Traveler’s Choice with the specification of each product which we find very helpful to use in day to day life and while traveling. Check Official Site of Travelers’ Choice Luggage. 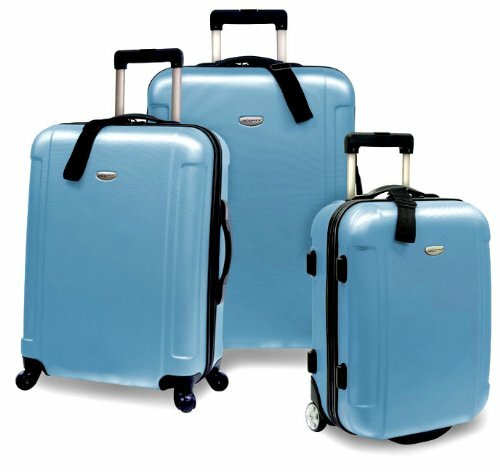 Traveler’s Choice Freedom set is 3 piece Hardside Spinner Luggage Set Which is also Light Weight. It comes in 3 different colors including Apple Green, Arctic Blue, and Dusty Rose. 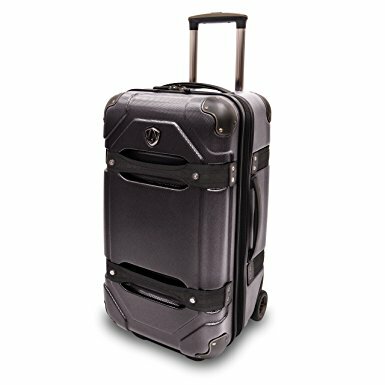 29-inch and 25-inch hardshell luggage feature 360-degree spinner wheels while 21-inch hardshell luggage has 2 recessed in-line skate wheels with aluminum ball bearings. The 29-inch bag has TSA approved security lock with two keys. Dimensions: 29 x 21 x 11 inches. Traveler’s Choice polycarbonate luggage trunk is 24 inches hardside rolling cargo with deep compartments and removable shelving system. It comes in 3 different colors including Black, Blue, and Charcoal. The case has removable and reconfigurable shelves which allow travelers to organize shelves for their personal needs. Traveler’s Choice Travel Select Amsterdam Luggage set is Lightweight expandable rolling luggage suitcases. It expands up to 30% on all its upright cases, two-tone polyester fabrication with PVC backing. It is available in dark red, dark gray, burnt orange, navy blue color options. 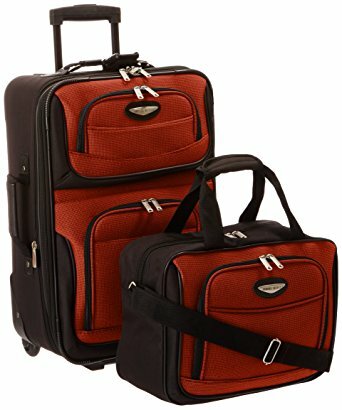 Traveler’s Choice Tasmania Luggage is 100% Polycarbonate Expandable 8-Wheel Spinner 3-Piece Luggage Set with Diamond Cut Texture Finish. Furthermore, It is available in Black, Navy, Purple and Dark Brown color options as of the time article was written. Fully Polycarbonate shell absorbs the impact of flexing when in under stress. 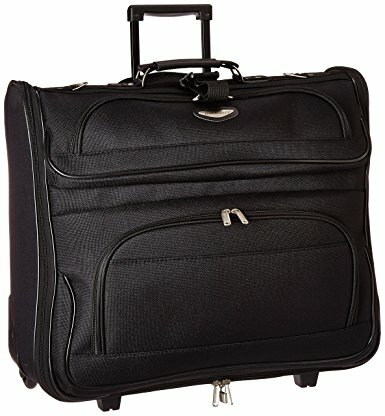 Traveler Select Rolling Garment Bag is made o a 1200D 2-tone polyester front panel with EVA reinforcement. This bag is ideal for keeping clothes crisp and clean while traveling. Top carry handle in the bag is suitable for easy lifting and the center strap is for carrying an extra bag. Also, It is available in 4 different colors: Black, Gray, Navy Blue, Red. Dimension: 23”W X 22”H (44” Opened) X 7”D. Width: 9.3 lbs. Adjustable and detachable shoulder strap with non-slip pad. Corner protected in-line skate wheels. Spacious main compartment with zippered mesh pockets. Traveler’s Choice Pacific Gear TreasureLand backpack is 19-inch Lightweight Polycarbonate molded ultralight rolling & shoulder backpack. 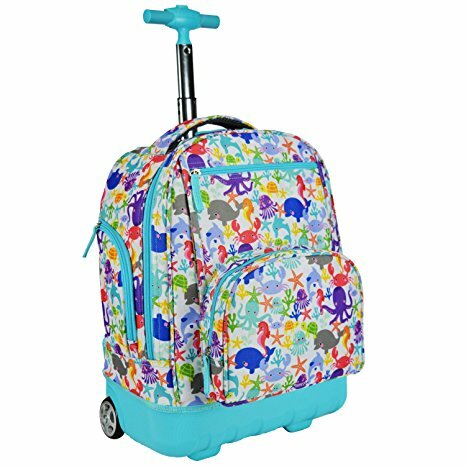 It is carry-on friendly and comes in stylish trendy colors and fun print accents which includes Black, Blue, Argyle, DIamond, Football, and 5 other. Dimension: 18”H x 13.5”W x 8.5”D. Weight: 4 lbs. Wheel cover for smooth carrying on the shoulder. U Shape Main compartment opening. Air mesh back system and padded shoulder straps. Telescopic push button handle system. 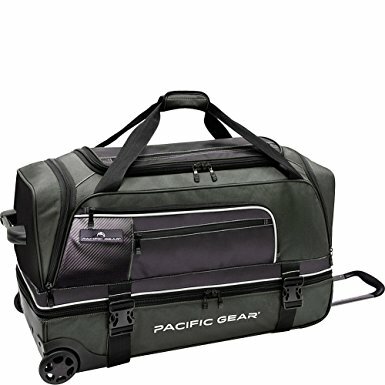 Traveler’s Choice Pacific Gear Drop bottom duffel bag is made of dobby fabric with textured sports trim accent. It is lightweight bag still durable construction. It features multiple compartments and pockets and a large front pocket for last minute packing. The compression straps in bag keep partially filled compartments condensed and overfilled compartments constrained. The main compartment of the bag is large and in U shape for easy packing. It also features zippered drop-bottom compartments for extra storage. Traveler’s Choice Laptop Backpack is 1680D Ballistic EVA Compression Molded Expandable Backpack and is made of 1680D fabrics with EVA molded protection shell. Additionally, It has removable workstation organizer and expandable compartment. Also. 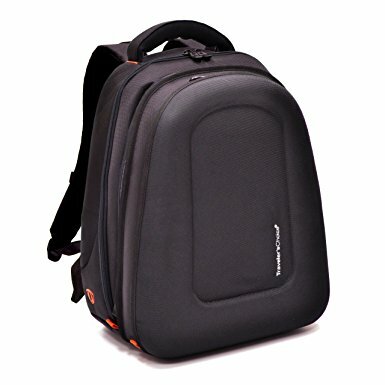 It can carry 15″ inch Laptop and is also convenient for headphone access without removing smartphone or digital media player from the backpack. It only comes in Black color. Laptop Compartment: 15″ H x 11″ W x 2″ D.
10″ inch Tablet Sleeve and other accessories pockets. Carry-on friendly with Dual Compartment. Suitable for Work, School or Occasional Casual Travel. 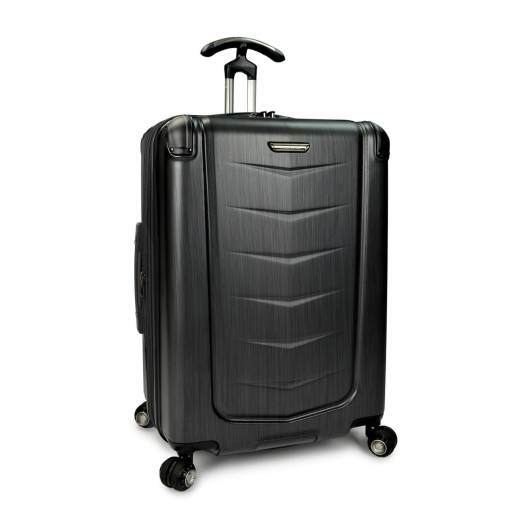 Traveler’s Choice Silverwood Spinner is 26″ inch Polycarbonate Hardside Luggage which comes in Brush Metal color. The main feature of the case is the new Cyclone Spherical Wheel System and T-Cruiser Handle System which allows you to handle bag with ease. As can be seen, The expansion of case increases the packing capacity by 2 inches up to 25%. The Riveted Corner guards on bag enhance overall durability. Exterior Size: 25.5”H x 17”W x 11” (+2”)D. Weight: 9.5 lbs. Interior Size : 24”H x 16.75”W x 10.75”+2”D. So, This was our Reviews of Traveler’s Choice Luggage Spinners, Backpacks, Carry-on, Hardside etc. 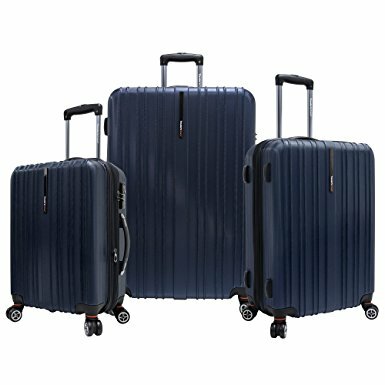 Samsonite also provides best bags but in comparison from Traveler’s Choice vs Samsonite, We would choose Traveler’s Choice because we were impressed by the design, color, and texture on luggage sets which look cool. So, If you have any queries related to this article, Do comment below and also share your experience with us by commenting below.